Free shipping on all orders over $149! Product Size :3.5" x 5"
Provide wedding guests with a reply card for your Deco Spirogram wedding invitations. 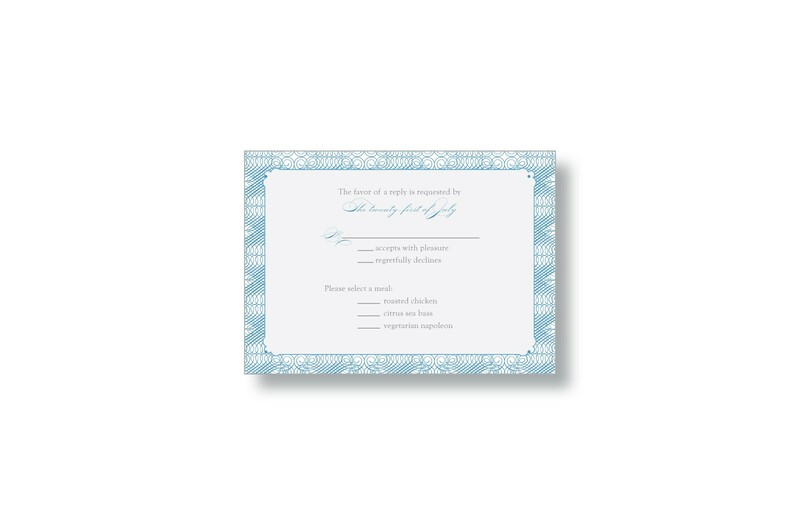 Digitally printed on white textured cardstock, in sky blue with gray text. Part of the Deco Spirogram wedding invitations set and includes return envelope. We'll review your personalized details for etiquette and wording. 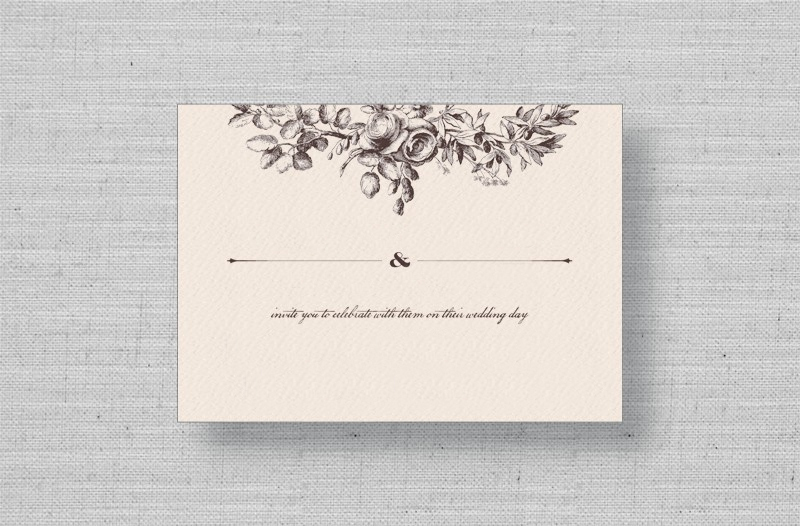 Then we typeset your card, making adjustments for spacing and design. *If you’ve asked for wording help, we’ll email you before starting. You review the electronic proof with your personalized information and approve it for printing. If you have changes, we’ll send you a new proof with revisions for approval before printing. Once you approve your proof, we’ll start printing it! We generally ship our digital print orders 3 business days after proof approval, and our thermography orders 5-7 business days after proof approval. Which means you should get your order in about 7-12 business days! Copyright © 2012-17 MARRY MOMENT, INC. | Modern Wedding Invitations, all rights reserved.